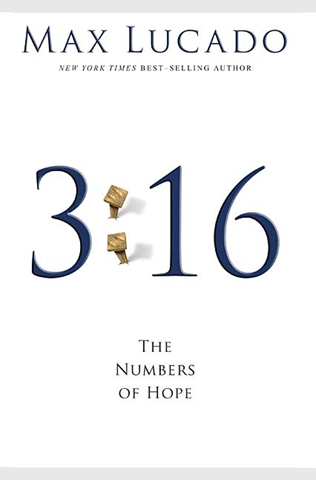 ANSWERS Book Reviews » Blog Archive » -"3:16 The Numbers of Hope"
-"3:16 The Numbers of Hope"
A great devotional book based upon John 3:16. This is Max Lucado at his insprirational best. Each chapter is short enough to be read in the morning to start the day right or finish the day at night on a high note. 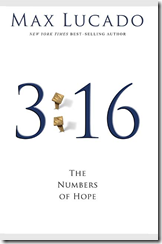 Full of great stories and illustrations all related to the message of hope found in 3:16 and Christ centered.